3 year old children are quickly developing and learning new physical skills. They are learning to wash their hands, feed themselves, put on their own clothing, and many other skills. They are actively exploring new things around them - stacking things up, knocking it down, taking things apart and then putting it back together, filling up containers, and engaging in imaginative play with their toys. Their motor skills and physical strength are also growing, allowing them to achieve better balance, run around faster and with more control, jump up and down, and walk up and down the stairs. Below we list some of the physical development milestones for a three year old child. Keep in mind though, children develop at different rates and you may or may not notice all of the listed milestones listed below. Typically, a 3 year old gains around 4 to 5 pounds on average, and the average weight is around 35 to 40 pounds. A three year old also gains about 3 inches in height, with an average height being around 39 to 44 inches. With better hand and eye coordination, they can catch a large ball with arms extended forward, but not all the time. He or she will also be able to throw and kick a ball without losing their balance. They can run and stop with ease; have improved balance; are able to jump and hop around; and may be able to balance on one foot for a very short period of time. During the 3rd year, the child can learn to hold a crayon or marker properly with the thumb and fingers instead of using their entire fist. They may also be able to trace simple shapes such as circles and squares. With improved motor skills, the child can usually dress and undress him or herself; they may be able to put on their own shirts, pants, socks, shoes, and coats with a little help. Give your child a chance and time to try to put on their clothing, and only help when needed. You'll likely find that often times, your child will put shoes on the wrong foot, clothing on backwards or inside out, or put both feet through one pant leg. Be patient, and help your child sort it all out. Hand and eye coordination improvements may allow the child to attempt more complex activities such as cutting with a child safe scissors; gluing objects together; or using other small, kid friendly toy tools. Your child may also be able to pedal a tricycle at this age; however make sure to wear helmets and keep a close watch on them. Three year old children have much better control of their bladder and bowel, and some will have very good daytime control to use the toilet consistently. However, they will still likely be wet and need to wear diapers at night. The child is going through a lot of physical changes at this time. Aside from growing taller and heavier, he or she is also slowly losing their baby fat, and developing more muscles at the same time. Their face will continue to lengthen and jaws slightly widen to make room for their permanent teeth. Small toddlers at this age are learning new skills all the time, and are developing a real sense of self and self-confidence They are excited to learn new skills and are happy when getting praise from others, especially parents. Offer lots of encouragement and praise for your child's efforts regardless of the end result. Help them feel secure about their abilities, and let them know that you're there to help them succeed. 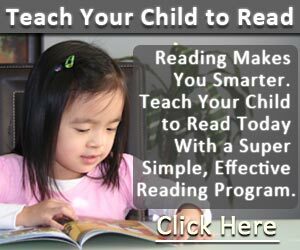 Help your child get a big head start, click here to discover a super simple, extremely effective system that will teach your child to read quickly and fluently.